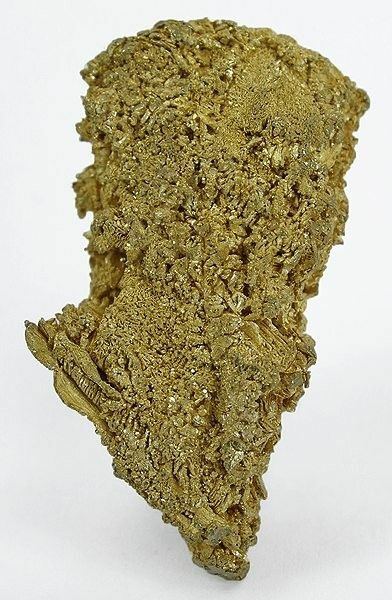 This is a crystallized mass of 26.3 grams of pure gold, from one of the hardest-to-get US locales for specimens. 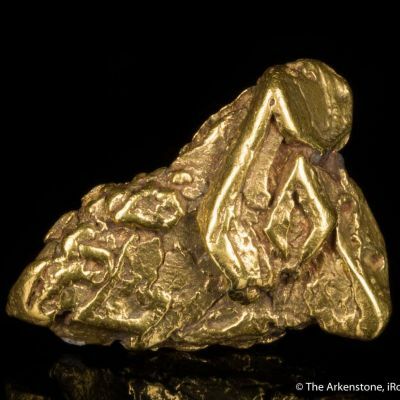 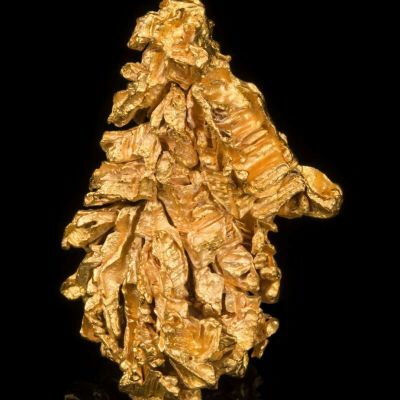 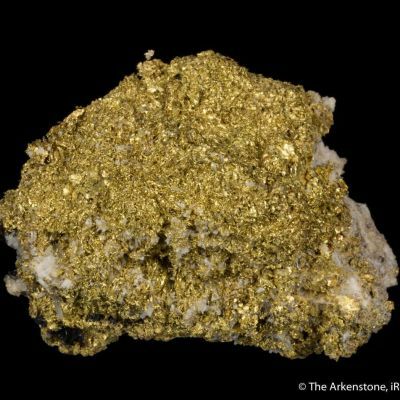 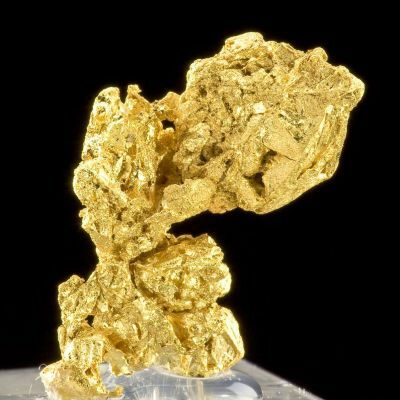 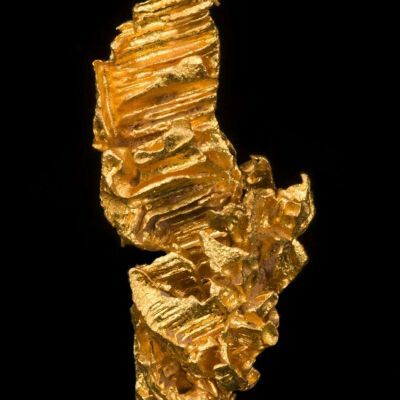 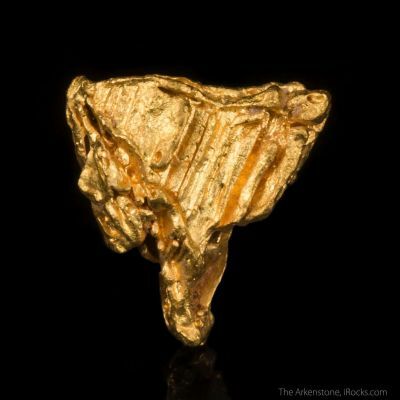 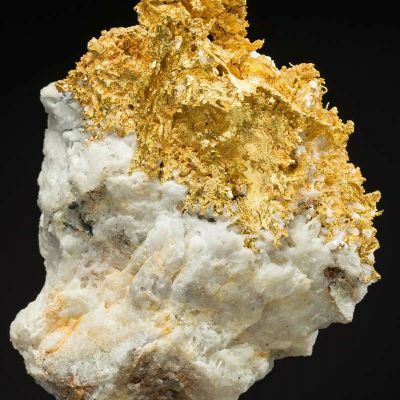 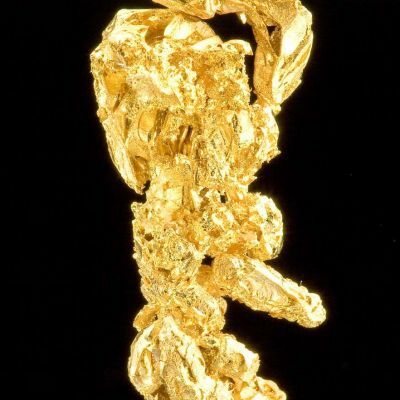 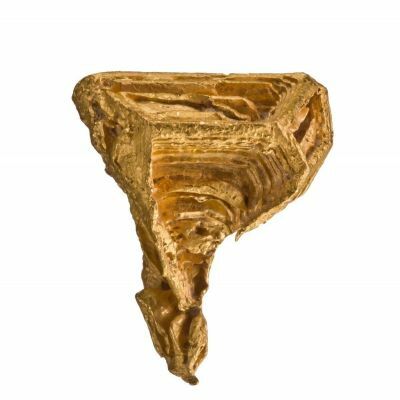 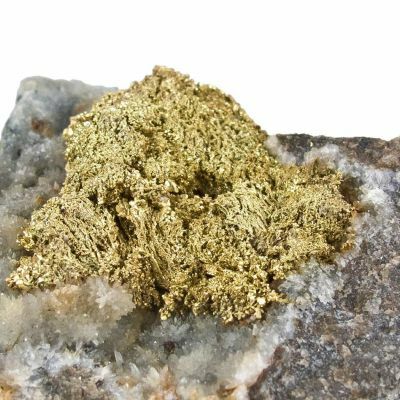 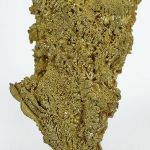 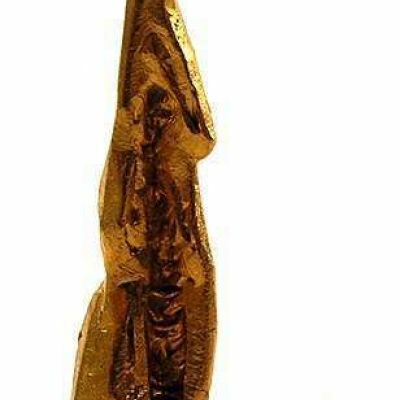 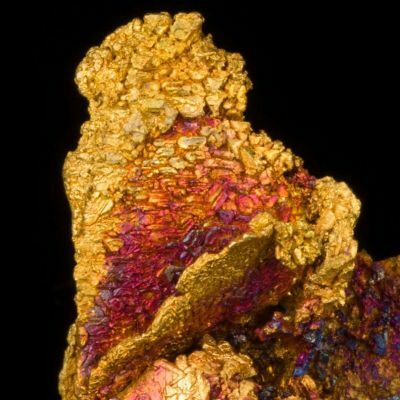 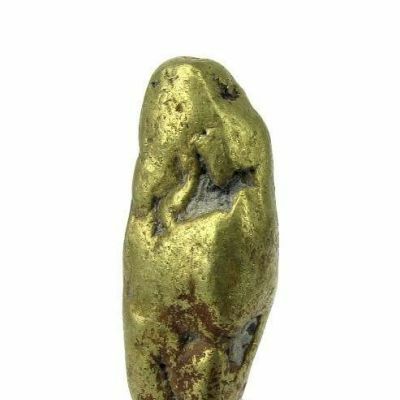 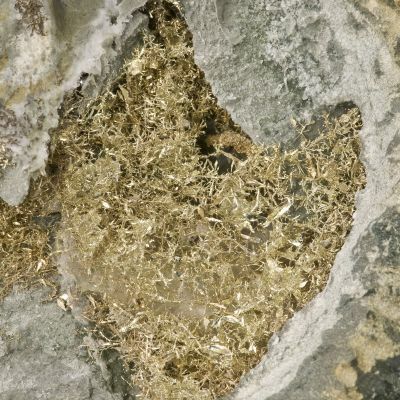 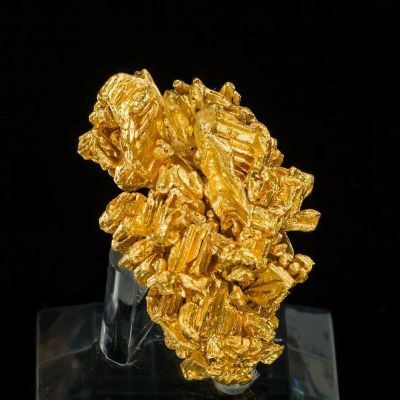 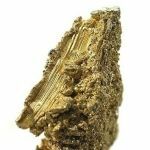 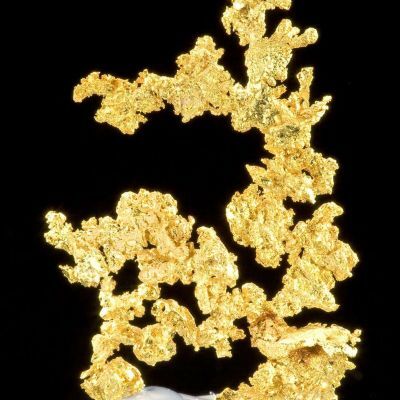 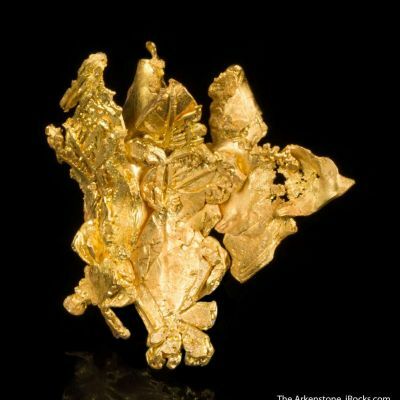 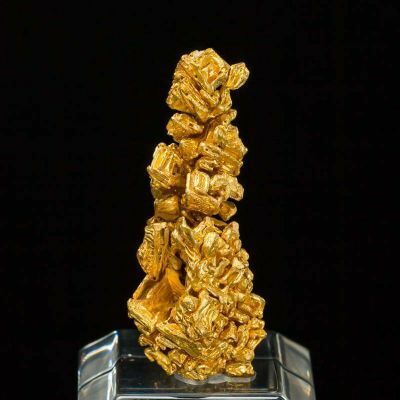 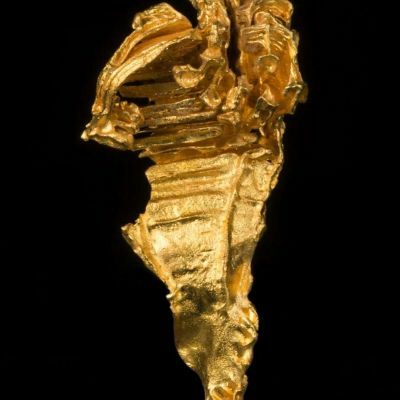 This gold specimen, which weighs almost 1 ounce, is composed totally of small intergrown crystals. It is bright, lustrous, heavy and much rarer than any California gold. 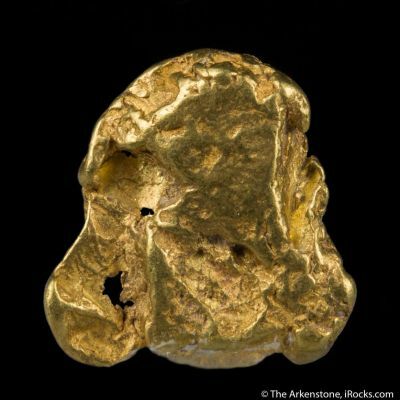 It is most likely 20-30 years out of the ground and specimens of this weight are very rare.